The very fact the BlackBerry DTEK60 even exists might seem like a Catch-22. When a company announces it’s stopping all in-house hardware design, the launch of a new smartphone might appear a little awkward. Of course, the DTEK60 follows in the footsteps of its smaller sibling, the DTEK50, in that neither was designed by BlackBerry. And yet, this phone feels like it’s one of the best to bear the company’s logo, thanks to a stylish form factor and solid performance. 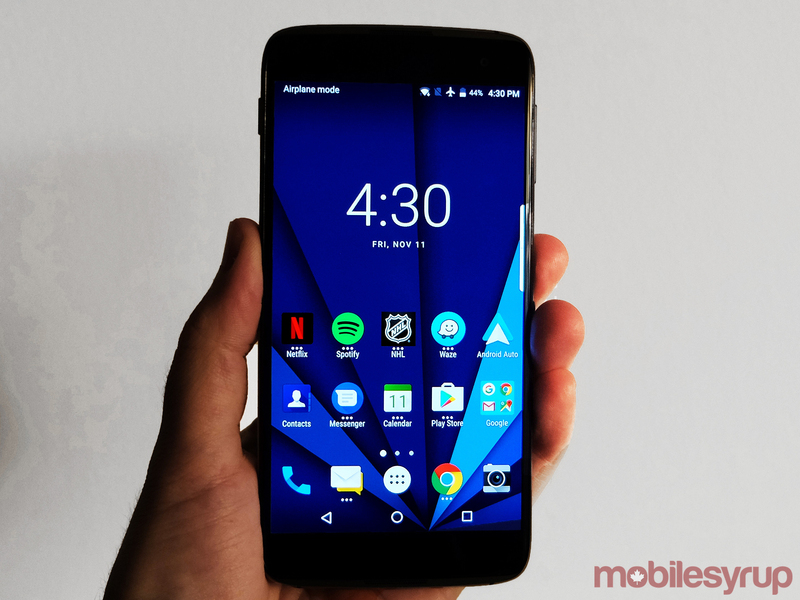 Where the DTEK50 was positioned as a harbinger of BlackBerry’s focus on software and security, the DTEK60 maintains that narrative, while adding more context to who the device would actually be ideal for. Should it come as any surprise that enterprise and business users are tops on the list? This phone can really work for anyone looking for Android with BlackBerry flavouring, but in a crowded mid-range market, where does it stand out? The DTEK60 is effectively an iteration of its smaller sibling, more from a physical perspective than a software one. Chinese manufacturer TCL helped design and build the unit for BlackBerry, affirming the latter’s abandonment of bottom-up hardware design. It doesn’t take long to notice this phone has an air of elegance to it. Glass on the front and back, with metal edges fusing the two sides, the 5.5-inch AMOLED display serves to accentuate the look and feel of the device. I noted this when showing people the phone. Most were surprised to see the BlackBerry logo, confused as to the what, when and why of the handset. While clearly anecdotal, such is the current state of the company’s brand that newer hardware, however pretty it looks, is viewed with equal parts curiosity and scrutiny. In truth, the company’s focus here is more on the software experience because that is where BlackBerry feels it offers a difference. This was the same narrative that encapsulated the DTEK50, which was dubbed “the world’s most secure Android phone.” The DTEK60 is essentially another physical iteration of that same paradigm, especially when it doesn’t come with an enhanced software suite to take things to the next level. That’s why it’s hard not to look closer at the hardware specs when they can impact performance. The Snapdragon 820 chipset may be considered ‘old’ in six months, but is still more than viable right now. The 4GB RAM, 32GB internal storage, fingerprint sensor, quick charging, and other features put this phone very much in line with others in its class. A 21-megapixel image sensor suggests something significant, but we’ll get to that later. One design piece that feels like a carryover from the DTEK50 is the convenience key on the side in the middle for quickly launching a preset app or task. I observed almost everyone I handed the DTEK60 to assuming it was the power button — just as had happened with the previous model. It’s entirely customizable and can be a great shortcut for the most oft-used feature. It’s no secret BlackBerry would be eyeing fleets and enterprises with this device, continuing the same focus from the DTEK50. 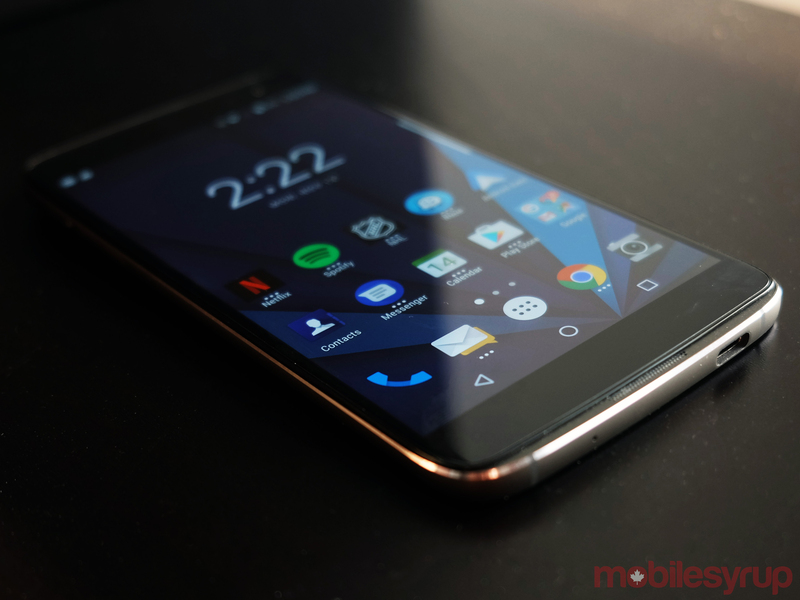 Even as a consumer, though, the DTEK60 is competitive, and may be worth a look. It feels nice to hold, despite the back being a fingerprint magnet, and sports a display on par with some of the best I’ve seen this year. By sticking to the same narrative with the DTEK60, BlackBerry isn’t unveiling any major surprises here. That’s not necessarily a bad thing when consistency can work in the company’s favour. The problem is it’s touting extra security that isn’t patently obvious to every user. Unlike computers, where many have been hit by viruses at some point, the same experience hasn’t befallen them on their smartphones. That’s not to say BlackBerry is echoing an empty message, only that it isn’t loud enough in making a case for its devices. Criticism over the company’s marketing is sometimes warranted, other times unfair, but the point is that the DTEK security app is the software face of this device. Seeing a solid level of security may not always feel solid. How many consumers get excited over anti-virus software on a computer? Apple has benefitted from a reputation for Macs not being infected with malware, as true as that may or may not be. 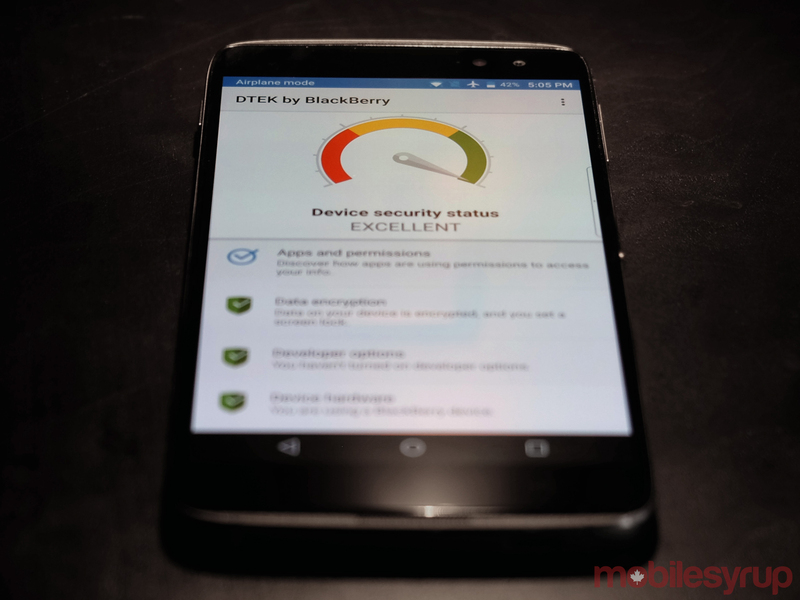 Incidentally, BlackBerry already has a reputation for mobile security, particularly on the software side. Even U.S. President Barack Obama was using a BlackBerry until this summer. What the DTEK app does best is articulate how and when app permissions are in play. For those accustomed to blindly tapping Yes to an app accessing anything from location to contacts, it’s worth going into DTEK’s Apps and Permissions section to examine how deep those ties go. In running the same version of Android Marshmallow as the DTEK50, there is no real difference. An update to 7.0 Nougat is confirmed for both phones, so some of the useful features introduced will eventually make their way over. Of course, BlackBerry’s software suite of apps is always something that floats on top of a fairly stock version of Android. While preloaded, BlackBerry’s apps are elective, so you can remove the ones you don’t want, and there’s no real overlay altering the operating system, which should bode well for however long updates keep the phone current. That software suite is largely what’s being marketed here. BlackBerry Hub remains one of the best overall email and messaging aggregators I’ve used on Android to date. It’s still not on the same level as what BlackBerry 10 users enjoy, but it’s well worth embracing on the DTEK60. On the previous device, BlackBerry had launched Hub+, a software suite that is free on BlackBerry Android devices. It is free for 30 days on non-BlackBerry devices, then costing $0.99 per month afterward to remove the ads. It includes the Hub, Calendar, Password Keeper, Device Search, Tasks and Launcher. There’s nothing to download because all of them are already preloaded on the DTEK60. I’ve also always been a fan of the BlackBerry Keyboard, which I hope will be made available on Google Play eventually. The Productivity Tab on the side hasn’t been my cup of tea, however. It’s fine that it’s there, but maybe because I’m not beholden to a calendar all the time, I don’t derive as much value from it. 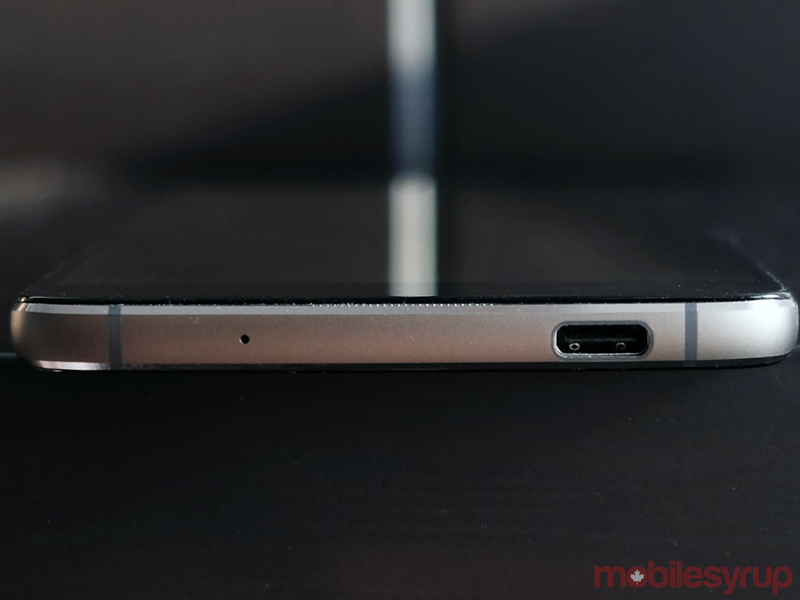 What makes the DTEK60 feel like it flows smoothly is the hardware. At no point did I ever feel like it started to crawl or eek out a task. The fingerprint sensor in the back is pretty responsive, but a little smaller in diameter than it should be. The convenience key on the side is, well, convenient for whatever you want it to be. By default, it isn’t assigned, and I could choose a shortcut to a specific task or app. I wouldn’t mind seeing this adapted to do a different shortcut with a double-press. Maybe someday. The front stereo speakers are good, but not great, at least as it pertains to actual volume. They’re clear, yet surprisingly low at full blast. Talking to someone on speaker can sometimes be affected by it, though it is offset by the superb call quality on both ends. At 3,000mAh, the battery isn’t sizeable in comparison to others, but still held up well during moderate daily usage. I managed about 30 hours per charge with a reasonable mix of calling, messaging, browsing and music streaming. Quick charging helps top up faster, so it’s not a total loss if the battery hits a critical low. 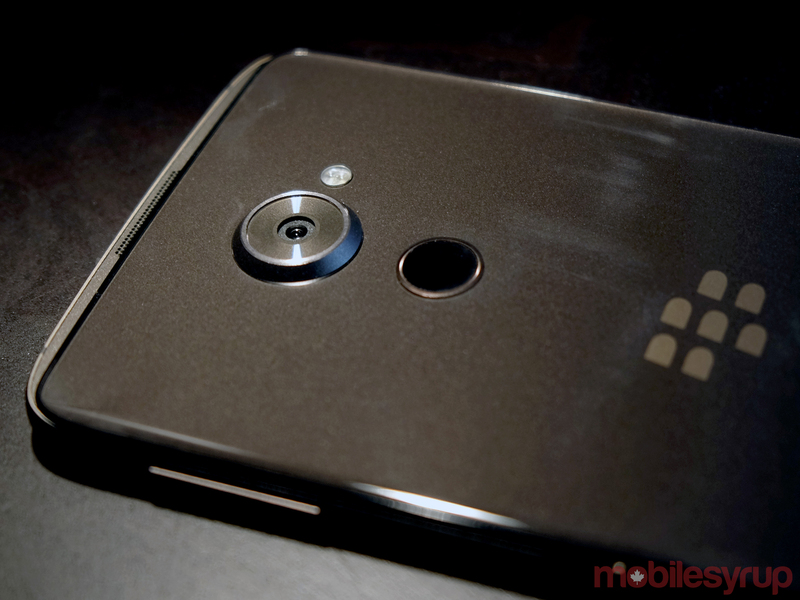 Mobile photography has never been a strong suit for BlackBerry. With each successive launch, I have always come away feeling like something was missing. Now that the company is using someone else’s hardware, it’s a bit different. It would be easy to say that BlackBerry could’ve opted for a different image sensor or lens to put the camera into elite territory, but what is in the DTEK60 isn’t pedestrian, either. BlackBerry didn’t change its camera software, so the manual mode it added before is back again. Using it helps a great deal where auto might crank up the ISO in tougher low-light situations or lower the shutter speed too much in brighter settings. The 21-megapixel image sensor sounds big, but it doesn’t mean very much as far as composition goes. Images turn out decently in most scenarios. I just wouldn’t expect anything ground-breaking or surprising. HDR is on by default, saturating brighter colours a little too much in bright light. Otherwise, colours desaturate in bright indoor settings, maintaining a common theme I’ve noticed with BlackBerry’s camera software. Given I had the time, I would shoot in manual as often as I could. Results turn out better in most cases. Those interested in selfies will like the 8-megapixel front-facing camera with included LED flash for those late night moments where lighting is always at a premium. The DTEK60 can shoot 4K video at either 30fps or 24fps. Nothing exceptional in either case, but it is nice to have that option, nonetheless. 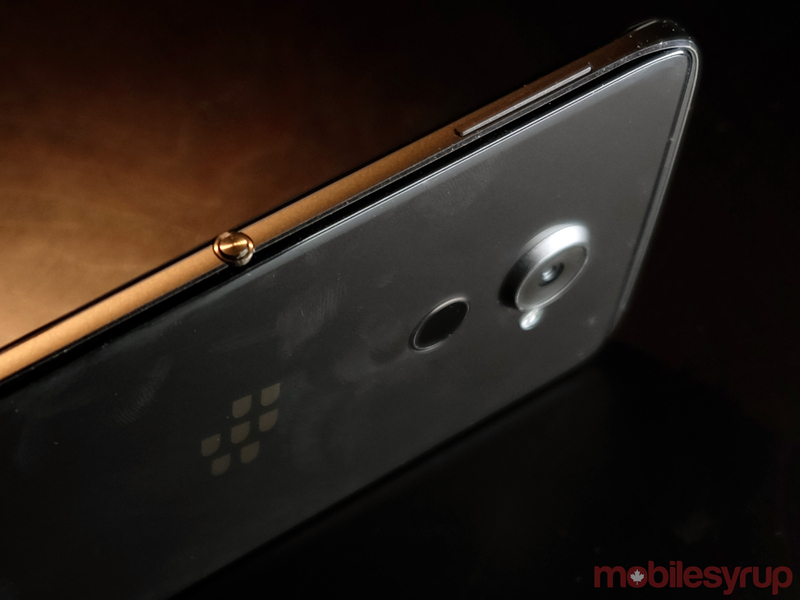 The Priv was BlackBerry’s last hurrah for in-house hardware design, and it seems somewhat surreal that the DTEK60 — a device it didn’t build at all — is its best touchscreen phone to date. At $650 outright and unlocked, it’s in the upper mid-range, and a tougher sell considering what else could be had in and around that price. Still, there is an opportunity, what with the Pixel phones being more expensive, and Samsung’s failure with the Note 7. As of this review, carrier partners haven’t been announced, so there’s no word yet on whether the phone will be available on contract. Getting it unlocked at full price is a better option anyway, so that’s not a bad thing. That it is close to stock Android and will get updates from at least Nougat onward is better than some other Android mid-rangers have to offer. The issue is that the market it’s in is already fairly crowded, and consumers still associate quality and longevity with the more expensive premium flagships. Like any BlackBerry hardware that comes to market, this phone shouldn’t be viewed in existential terms relating to the company’s health. It’s no saviour, and shouldn’t be viewed as such. It’s just a solid Android device that performs well for the asking price.